The microdermabrasion procedure at Bianucci Salon & Spa in Gastonia is a non invasive procedure that gets rid of all dead skin cells off the top layer of skin and allows the new cells to come to the surface of the skin. Microdermabrasion allows the skin to better hydrate itself and the collagen and elastin fibers start working to your benefit to allow skin to become fuller for a more youthful look. First your skin will be cleansed and neutralized. We then decide upon the strength of the setting. Next the process begins with our DermaGlow Microdermabrasion machine applying a thin film of crystals to the whole area of the skin. The machine then allows the crystals to rotate over the surface of the skin. Then once the first layer has been removed, a second application of crystals is applied to the skin and removed. Multiple passes over the skin can occur. After a microdermabrasion treatment at Bianucci Salon & Spa, your skin will be cleansed once more to ensure that all the crystals are removed. 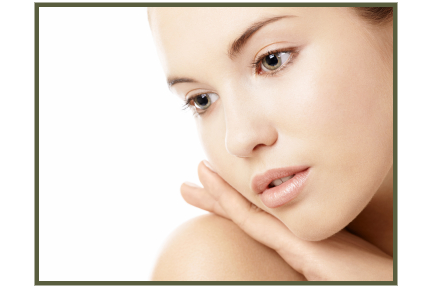 We recommend that our clients avoid direct sunlight for a few days after a microdermabrasion treatment. If you do plan to be in the sun for a while, sunscreen is a must.